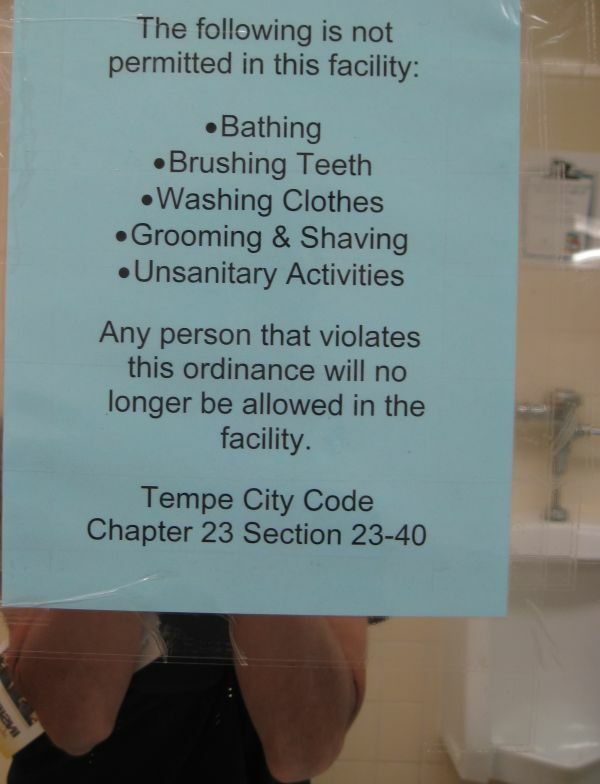 Tempe Arizona continues it war on homeless people. In this case Tempe has declared war on homeless old farts. I had to take a dump and the closest place to go was the restrooms in the Tempe Senor Center which is at the Tempe government complex on Rural and Southern which includes the Tempe Public Liberty. 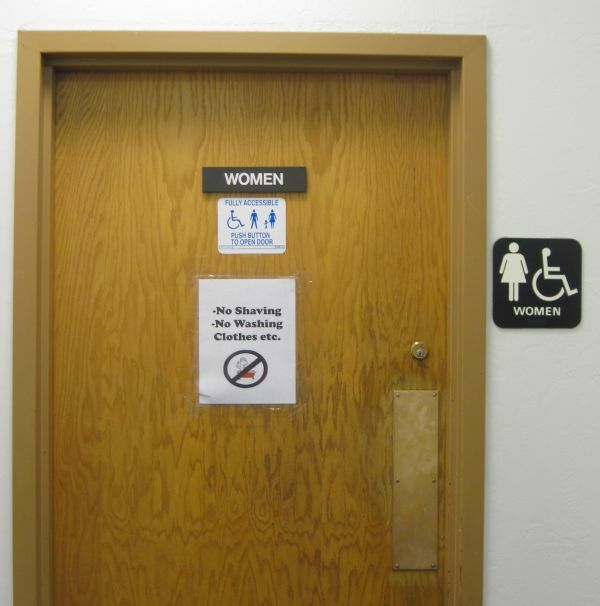 These signs were posted on the mirrors in the men's restroom, the walls on the men's restroom and on the door way to both the men's and woman's restrooms in the Tempe Senor centers. 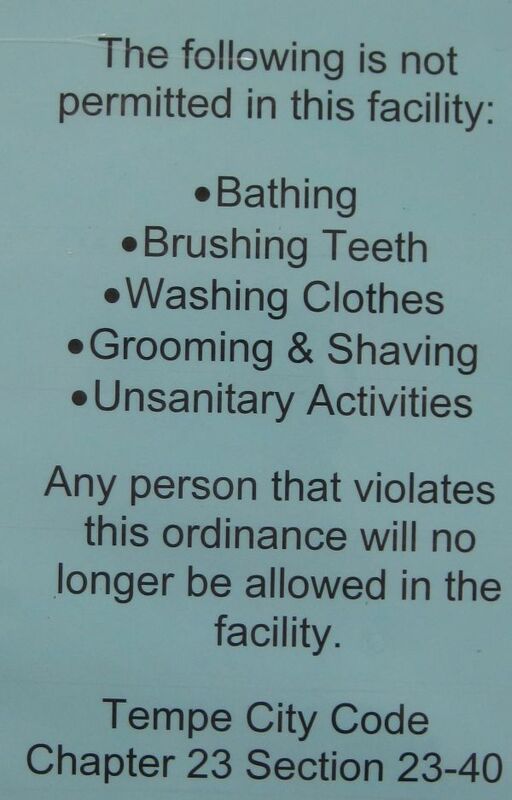 will no longer be allowed in the facility.